Hello everyone! Welcome to the very first Progress report on Project Kanawha. 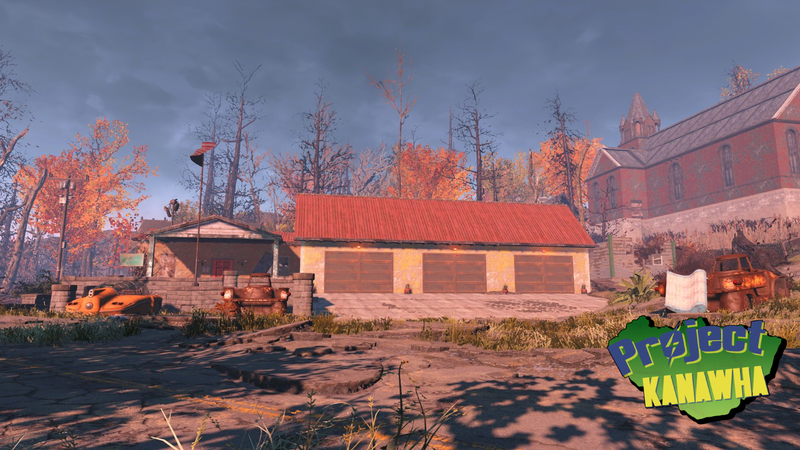 For those wondering what Project Kanawha is, Project Kanawha is a mod aiming to reinvent the idea of a Post Apocalyptic West Virginia, based on the observations and plans I started scheming up back in 2015. 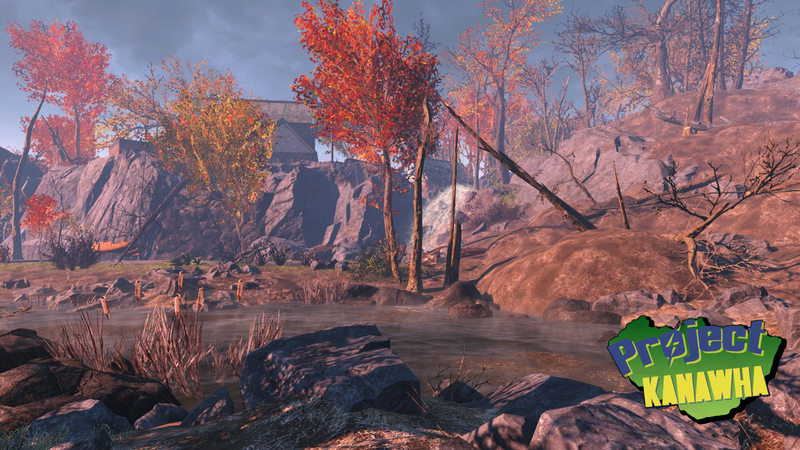 Project Kanawha is not meant to compete with Bethesda's own Fallout 76, but much rather compliment it as a 'What if' type of scenario. The primary focus of this update is to serve as a place to share the work that's occurred between November 2018 and March 2019 in preparation to get this mod out there and to showcase what I have to offer. The primary goal of Project Kanawha is to create an immersive wasteland that feels fun to explore while helping tell a story through it's environment. 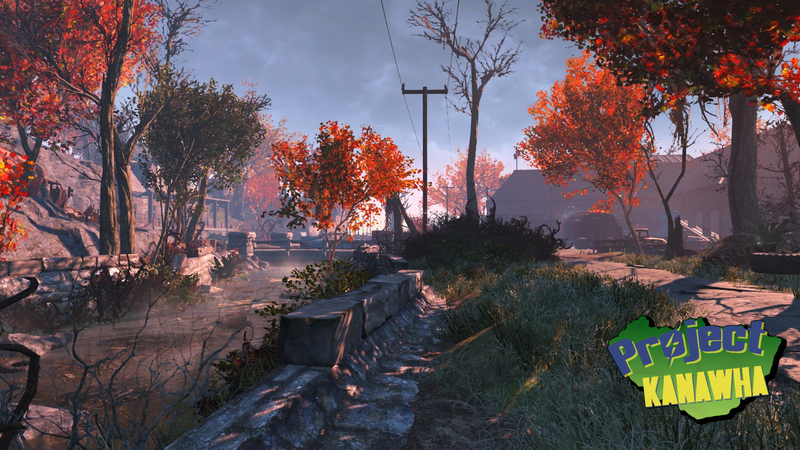 Although there will, of course, be NPCS, holotapes, and notes present, Project Kanawha will abide by 'Show, not tell' to push Fallout 4's engine to it's limits in terms of detail and beauty. 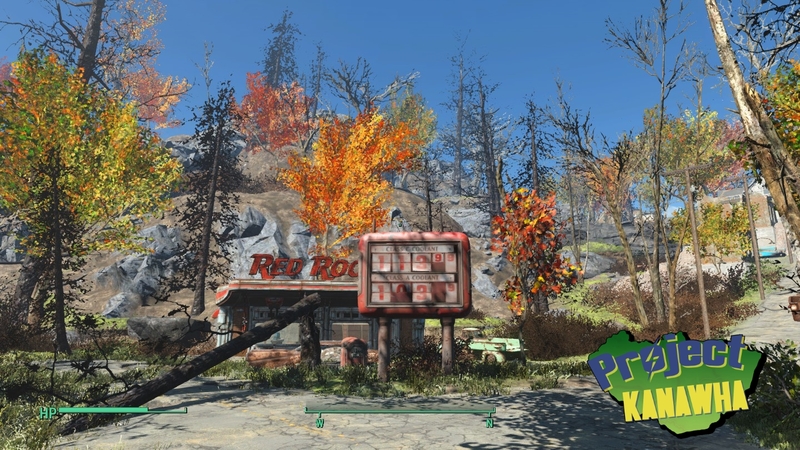 As you can see here a lot of work has gone into adding color into the Kanawha Wasteland; although it's largely abandoned around the region of Kimball, the lack of nuclear destruction to the region has caused plant life to flourish and to start to regrow around areas once explored by man. Just because this is the apocalypse, it doesn't mean that everything has to be brown, drab, and dreary. For the past few months, I've been working tirelessly creating the town of Kimball -- who's story I'll be slowly revealing as the video release properly announcing Project Kanawha comes closer and closer. All I'll say is that the town has stood the test of time, and serves as a buffer between towns to the east and to the west of it. 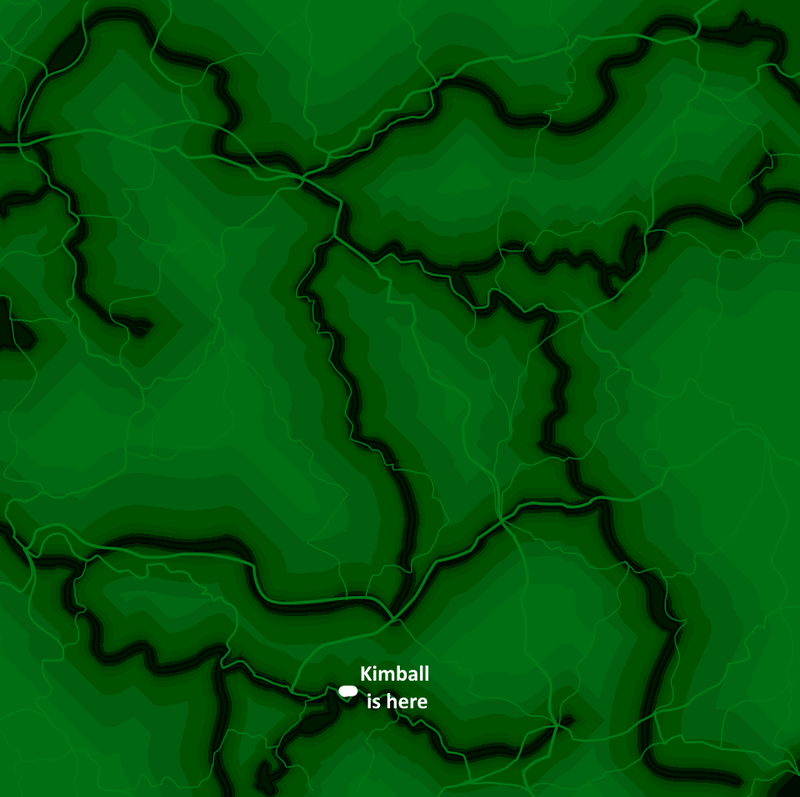 That being said, I'm not just a level designer; I've been working tirelessly creating a road plan, doing research, creating graphics (such as an early map and the logo i've been using everywhere), as well as planning locations to be featured and writing ways on how to expand Project Kanawha / how to handle gameplay. The most important things, however, are that I've both been writing out a story and, as an artist, creating concept art. 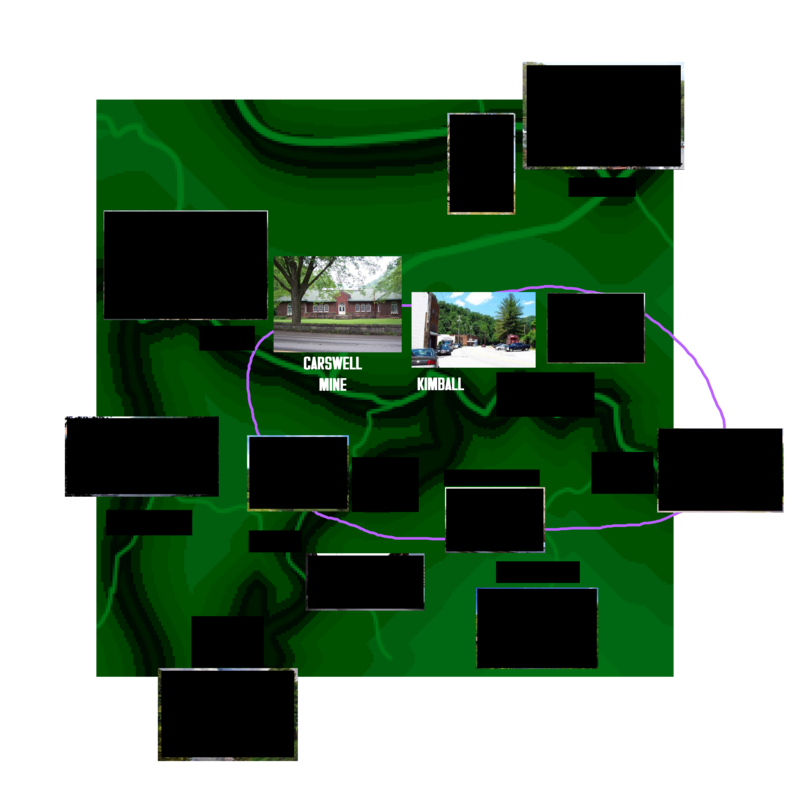 If all goes according to plan, here's a little teaser of just how expansive Kanawha really is; this is all subject to change, of course, as this map is no where close to final, but maybe you can make a few predictions of locations that I might be planning to feature. Finally, here's some assorted Concept art that I've been working on of various things; Although I have more finished pieces... I'd like to save those for smaller updates. Besides, who doesn't love looking into someone's art process? County roads, take me home. PS as a special note, applications for Project Kanawha are officially open; I'll be primarily looking for 3d modelers, programmers, and people who'd be willing to help tell a story since I'm bad with explaining things, however, I'll be glad to take on board anyone with a sufficient portfolio for what I'm looking for! To apply, please fill out this form here!